Samsung printers make up an entire collection of excellently performing printers in stylish bodies and competitive prices - so does the superb results in Samsung printer reviews tests show. Samsung, as a world-famous consumer electronics manufacturer, boasts of a wide array of printers, from desktop printers to multifunction printers, from monochrome printers to color printers. In fact, it is now known as the second largest printer manufacturer worldwide. 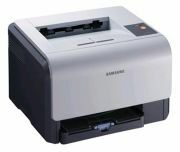 It is also hailed as the manufacturer of the smallest laser printer in the world, the Samsung ML-1630. And in every model released, the company puts in a serious amount of excellent printing technology and superior engineering. Samsung focuses mostly on producing laser printers, but still stands out and makes a difference by banking on the existing laser printing technology and upgrading it considerably. Samsung printers come in four main categories, specifically monochrome laser printers, color laser printers, monochrome multifunction printers, and color multifunction printers. What Samsung Printers Are There - Samsung Printer Reviews? Color laser printers from Samsung are stylish and surprisingly affordable alternatives to other bulky and ordinary-looking printers with expensive price tags. The CLP-300 and CLP-300N are very light and compact and has all the necessary printing capabilities required in a laser printer for the home or small office. It can connect through USB to the host computer and through Ethernet to a network, for the CLP-300N model. But if you have a small to medium-sized business, the CLP-600ND is a better fit. It is fast, at 21 ppm, and has a large paper capacity. The laser printer is also network ready and has a significantly larger memory capacity to handle the printing jobs of medium-sized businesses. But for larger businesses, the CLP-660ND is the best option. It provides professional printing at blazing speeds and comes with a high memory, Ethernet connection, and large-capacity paper handling. When it comes to color laser all-in-ones, there are three Samsung printers that meet general needs. There’s the CLX-2160N, which prints, copies, and scans. It is also compact and prints with minimal noise. But if you want to add a fax machine, you can go with the CLX-3260FN. For larger needs, however, you can upgrade to the CLX-6200FX, complete with print, copy, scan, and fax capabilities and boasts of a speed of 21 ppm not just for monochrome printing but also for colored printing, monochrome copying, and colored copying. If you require duplexing and a printer that can link to a network wirelessly, you should go for the CLX-6210FX. If you are considering monochrome laser printers, the top two products are ML-2510, ML-2851ND, and the ML-3051ND, which are perfect for home use, small workgroups, and medium-sized workgroups, respectively. The printers have speeds of 25 ppm for the ML-2510, and an impressive 30 ppm for the other two printers. So if you don’t need a color printer and you value speed, these three printers are your best options. They come with features ranging from USB and Parallel connectivity and Ethernet network connection. The ML-3051ND also offers optional wireless connectivity. But if you want a multifunction printer, your top three products are SF-560R, SCX-4200, and SCX-4521FG. The first is a compact machine that packs a printer, copier, scanner, and a fax machine in one machine that will fit any small office. The second is a Digital Productivity Center for small businesses and even for home use that offers excellent printing at lower costs. Samsung printers are loaded with productivity features to help the machines make your life easier and way more convenient. Samsung printers come with connectivity features such as Ethernet connectivity and wireless, document management assistance through the SmarThru Office Document Management Software, and easy printing connectivity such as USB direct printing ports. The MFPs also come with network scanning capabilities, which enable the printers to scan and e-mail directly, or scan to file and send to any computer in the network. The printers also have unique features such as collate print, delayed print, confidential print, and job storage. Samsung Printers: Why They Sell? A lot of Samsung printers are praised for their advanced printing science, but these printers become largely more popular thanks to several more attractive features such as innovative designs and compact sizes. A look into Samsung printer reviews shoes this. Several users have also been attracted by the glossy piano black finishes on several printer models from Samsung. Weighing how they look and what they can do, these printers should definitely be given a place in your home and office. Samsung ML 1610 Printer - Small, Affordable, but Powerful - The Samsung ML1610 printer puts much emphasis on speed and performance, making it one of the best and most affordable options when you are after the same things. Samsung ML 1740 - Bargain Entry-Level Printer that Fits Your Budget - The Samsung ML 1740 clearly deserves the stars linked to Samsung’s name. As a printer, it excels in quality and convenient usage. Samsung ML 1430 - Full of Surprises without the Price - The Samsung ML 1430 offers great value even at a low price. The printer is known for its innovatively small size, which is considered one of the smallest in the range of affordable monochrome laser printers. Samsung ML 2010 - A Strong Point in the Laser Printer Business - The Samsung ML 2010 is praised for being the fastest printer in its price range and class. This is a good printer to have at home and in a home or small business office. Samsung Laser Printer - Quality that Goes Beyond the Name - Samsung laser printers come with excellent quality that can only be provided by a top brand like Samsung. Samsung ML 1210 - The 1210 from Samsung Printers - The Samsung ML 1210, judging by its impressive performance, is definitely a product of an internationally acclaimed brand.